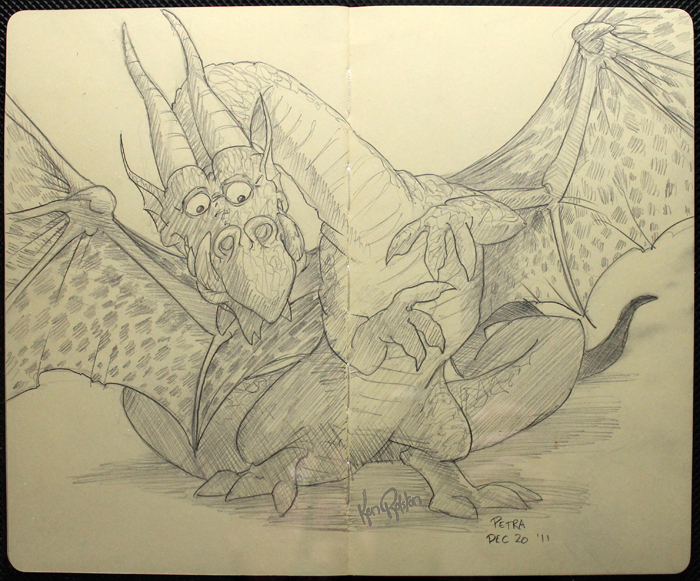 Dragon 267 – From the lost sketchbook…apparently I misplaced another sketchbook for a few weeks. We did a little cleaning around the house last week and in the process I gathered all my sketchbooks in one place. That’s when I discovered this dragon had yet to be photographed and added to the blog. Since my wife was the one that added the sketchbook to my pile of books, I have no idea where it was hiding.